Uniting Police Wives Across America. One Team. One Purpose. To guide law enforcement wives on their journey to form their own local supportive communities and to do so with love, experience, compassion, and strength. Silver pendants will be engraved with a simple message; “(widows name), Sisters forever by your side. 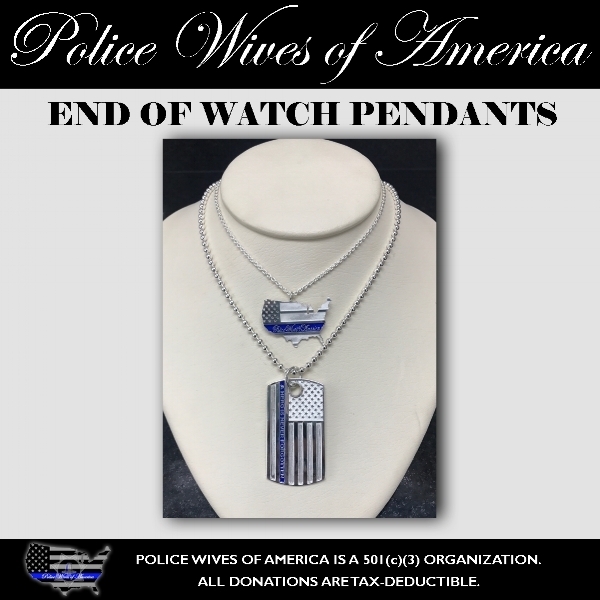 ♡ PWOA” with the fallen Officer’s badge number.